How To Make Disease Prevention An Easier Sell : Shots - Health News The American health system is well-suited to fixing acute problems. But chronic issues, such as diabetes and obesity, have proved challenging. Prevention could reduce the risks, yet the approach hasn't taken hold. Here's a leading medical thinker's take on why, and how to fix things. 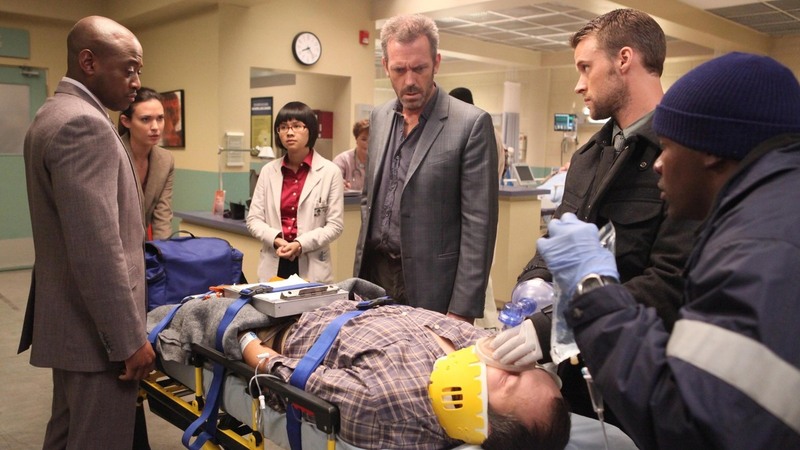 We'd all like a medical genius like TV's Dr. Gregory House to rescue us from a life-threatening crisis. But what can he do to prevent diabetes? It's much better to prevent illness than to treat it: less time, less money, less suffering. But prevention is a surprisingly hard sell with doctors and the public. That's true even though preventable chronic diseases like diabetes and heart disease are the most common causes of disability and premature death in the U.S. There are reasons we're so bad at preventive medicine, says Dr. Harvey Fineberg, president of the Institute of Medicine at the National Academy of Sciences. He wrote about the issues in this week's JAMA, the journal of the American Medical Association. Fineberg tells Shots why we often get preventive medicine so wrong and provides a prescription for doing better. Hint: It involves Febreze. Here are highlights from the conversation edited for length and clarity. It's been clear to public health types for many years that prevention is a hard sell. Why did you decide to finally write this down? "It's been puzzling me for so long. Everyone knows prevention is good and it's the right thing to do, and we have such difficulty putting it into practice. Over time I would notice one reason or another that makes it hard. After I started accumulating these, I realized I hadn't seen it put together." But not so very long ago, disease prevention didn't seem so important. What changed? "The experts have a fancy term for this — it's called the epidemiological transition. We've gone from a preponderance of acute and infectious disease as a source of premature death to chronic diseases, which are the preponderance of the burden of illness in most of the world. That puts a much higher premium on the prevention of chronic disease than ever in history." We love medical dramas like House, where the doctor snatches the patient back from death's door. But you're saying what we really need from our doctors is to avoid the drama by not getting so sick in the first place. Is there any drama in preventive medicine? "You certainly have a lot of acute drama in the prevention of infectious disease that can otherwise wipe out whole villages and populations. But it's pretty hard to make drama out of the day in and day out consistent acts that transform our lives." Can you give us a few examples of how this can work? "We don't have spittoons on street corners any more. It's no longer acceptable to spit on the street. When you visit friends' houses today do you see ashtrays? When I was a child it was considered OK to smoke. "Those are cultural changes that occurred in our lifetimes. When cultural change succeeds, it succeeds because it's so embedded in what we do that we don't have to think about. The reason that consumer products really succeed is when the manufacturer can find a way to embed it in your daily life. When Procter & Gamble introduced Febreze, it made it a part of your daily cleaning ritual. It's a way to affirm you've finished cleaning the house. I think we can use the same marketing techniques for health." What would be your version of Febreze? "It would probably be around eating and diet choice. We're often stymied by the growing amount of obesity, but actually a very small daily change in the number of calories and the amount of exercise you get would make a huge difference over time. That's how we got into the problem, by tilting calorie intake and exercise in the wrong direction. That's how we can tilt it in reverse." I hope you're not saying that this is all up to individuals. "Absolutely not. Employers have so much to offer in this. They are the place where most of us spend our days, and they have an interest in a healthier, more productive workforce. "Government of course has its role in setting policies to make this easier. In New York, Mike Bloomberg has taken incredible leadership on tobacco, banning smoking in public places. And he's gotten the trans fats out of restaurants. "Obviously it comes down to the individual and individual resolve and desire. But that's only going to succeed when it's reinforced and made part of the culture." You say one of the simplest ways to get people to adopt more healthful behavior is to pay them to do it. How would that work? "I'd pay people to get their child immunized. I'd pay people to make healthier food choices. I'd pay people at work in terms of reduced insurance premiums if they demonstrate absence of tobacco. Weight loss? I'd make that financially rewarding, too. And there companies that are already doing that. "The point is that a lot of these solutions actually exist somewhere, but we haven't made them the norm. That's what I'm calling for. We need to make the right simple and healthful choices the norm." You list more than a dozen reasons why preventive health fails. One is that "avoidable harm is accepted as normal." What do you mean? "Automobile injuries are a very good example. The very word accident makes it seem like there was nothing we could do about it. But in fact automobile injury is reducible. It's reducible by changes that we've done a lot of — seat belts, air bags, anti-lock brakes and the elevation of rear lights. Those are all based on evidence that they would reduce the likelihood of injuries. Changes in the highways, barriers that absorb impact, better lighting, better marking, clearer signage that don't take as much time to read. Changes in driver education and ages for driver's licenses. All of these aren't an accident. They are part of a systematic approach to reducing the likelihood of injury to yourself and others. Sweden has adopted the right norm, which is zero fatalities in traffic accidents. Why isn't the right norm for homicide zero? Defining injuries and harm as normal is our problem. We need to see them as abnormal and reducible." Where would you like to see more disease prevention in your life? "I spend so much of my day at work. I would like to have the workplace be part of a healthier strategy. Reminding me more about walking the steps rather than taking that elevator. Not just promoting healthier food in the cafeteria, but providing information on healthier choices. I use it when I look at the alternatives. "We know that there are not going to be short-term solutions for any of these problems. It's got to be persistence that will enable the payoffs to be realized. That's what it's going to take. It will take time, but it will happen."